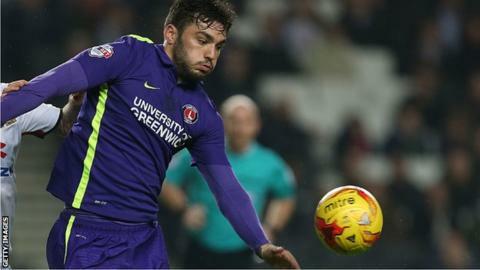 New signing Tony Watt will be a hit with Cardiff City fans, according to Wales and MK Dons striker Simon Church. The Bluebirds have signed 21-year-old striker Watt on loan from Charlton until January. Church, who played with Watt at The Valley, says the former Celtic and Standard Liege man is a good acquisition for the Championship side. "He's a very good player and I think the Cardiff fans should expect a lot of good things from him," said Church. "He's still very young, but he comes across as very mature. He's a bit different, and he has a lot of ability." Watt will be available for Cardiff's Championship game against Burnley in the Welsh capital on Saturday provided international clearance comes through in time. He joins a team struggling for goals, with Cardiff scoring only 17 times in 17 Championship games this season. Manager Russell Slade complained about his striking options after the 2-0 loss at Derby. Watt scored a goal in each of the opening Championship games this season, but has failed to add to his account in 13 appearances since. He was in the Charlton team that lost 2-1 at Cardiff on 26 September. The Scot famously scored Celtic's second goal in their 2-1 win over Barcelona during the 2012 Champions League when he was 18-years-old.